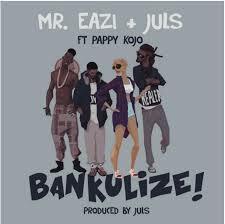 Mr Eazi – Bankulize Feat. Pappy Kojo MP3, Video & Lyrics - Nitracle - Download Apps, Play Games, Watch Movies, Listen to Music & Connect with People. Said, "I wanna tell you something"
Said, "I wanna kiss your pretty face"
But she say, "No, no, no, no"